Experience the candle lit services held on the first Saturday of each month at 6:00pm (18:00) in this charismatic and beautiful church dating back to the 13th century, with its unusual box pews. There is an exception in September when the service coincides with the English Heritage Open Days. Includes a map showing the location of and access to the Church of St Mary, Easton Neston. The Tove Benefice now has its own site at ToveBenefice.org.uk. The Churches in the Benefice are currently served by a number of web sites, each with their own identity, character and information, which can easily be accessed from the Tove Benefice site..
Click here to find out more and how you can contribute. When you stand in the Church of St Mary, Easton Neston, you are in a building that has had a presence here for eight centuries as the first recorded Incumbent of this medieval church was Nicholas de Grey in 1223. This link takes you to a different site over which I have no influence. Please use the “Back arrow” on your browser to return to this site. The Church of St Mary opened it doors from 10am to 6pm over the Heritage weekends and was well supported by the visitors who enjoyed the beautiful flowers (some of the arrangements which can be seen by clicking the button), cakes, tea and coffee provided by the willing Friends of St Mary. A big thank you to all who visited the Church and to the volunteers who decorated the Church with flowers, made cakes and served refreshments to the visitors. Photographs taken at the Church of St Mary, Easton Neston, Northamptonshire, including images of the ten Gargoyles at the base of the roof beams in the Nave. Photographs taken at the Church of St Mary, Easton Neston, Northamptonshire. Photographs of St Mary’s Church, Easton Neston, Northamptonshire, taken in July 1967 by Henry Cooper & Son of 8 George Row, Northampton. Panoramic images of the Church of St Mary, Easton Neston, and St Lawrence, Towcester, including those taken in the snow in February 2009. Map showing the location of and access to the Church of St Mary, Easton Neston. 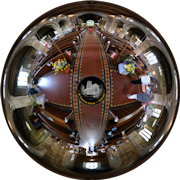 Latitude ~ 52° 08′ 11″ N and Longitude ~ 00° 58′ 31″ W.
Panoramic images of the Church of St Mary, Easton Neston. 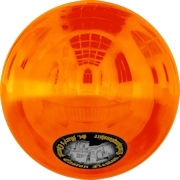 The panorama can be viewed dynamically by clicking on the image. 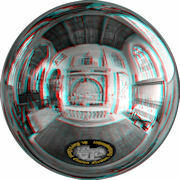 Panoramic images of the Church of St Mary, Easton Neston, in 3D. Anaglyph (red blue/green) glasses are required to view these images. 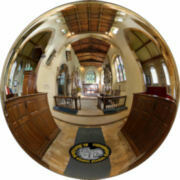 Panoramic images of St Lawrence Church, Towcester, during the 2011 Flower Festival. The panoramas can be viewed dynamically by clicking on the image. 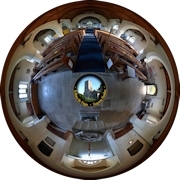 Panoramic images of the Church of St Mary and St Bartholomew, Cranborne, Dorset. 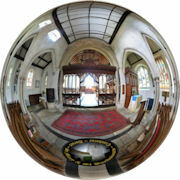 Panoramic images of the Church of St Mary the Virgin, Sixpenny Handley, Dorset. Interactive panorama of the Church of St Mary, Easton Neston, made with a thermal imaging camera. The large ironstone parish church of St Lawrence is situated in Chantry Lane, in the centre of the historic market town of Towcester. The oldest portion of the existing church is in the style of ‘Early English’ architecture, about 1200. People have worshipped at St. Bartholomew’s Church in Greens Norton, where you will find a warm welcome, for a millennium. St. Bartholomew’s is part of an enlarged Anglican fellowship with churches in the Tove Beneficehave and has Sunday School, two lay people training for Pastoral care and Evangelism, and an enthusiastic team who want to take the message of the grace and love of God to the community. According to the 2001 census it had a population of 179 people. It is a village of mainly mature houses, built from mellow Northamptonshire stone.